Currently the VTCT Qualifications Development Officer for beauty, complementary therapy, spa therapy and nails services qualifications, Carina started her career in the hair and beauty sector aged just 14 years old, in Dublin Ireland, where she worked as a part-time junior in a hair and beauty salon and she hasn’t stopped working in the sector since. After achieving a myriad of qualifications in beauty and complementary therapies (ITEC, CIBTAC, CIDESCO, City and Guilds) she worked in industry in beauty salons and on cruise ships as a beauty therapist, spa therapist, spa manager and trainer for many years. During her 12 year teaching career, Carina worked as a lecturer, assessor and internal verifier in over 20 colleges of further education and private training centres. Carina was also the Lead External Verifier for City and Guilds Beauty and Complementary Therapy qualifications in Ireland for 2 years. In her career Carina has held some interesting roles including Executive Director of FHT Ireland for 5 years, Vice-President of FHT UK and Ireland for 3 years and Director of Education at The National Agency for Beauty Therapy Education and Training (NABTET) for 8 years. 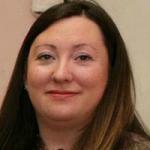 She has also worked ongoing as a consultant for The National Standards Authority of Ireland (a semi-state body under the remit of the Irish Department of Jobs, Enterprise and Innovation). Carina has pioneered some major regulatory developments in the beauty industry including chairing the technical committee which published with Ministerial approval the National Irish Standard for the beauty industry, giving Ireland a ‘world-first’ in the sector. As the FHT sponsored UK representative to CEPEC, Carina was elected as President of the Pan- European Confederation for beauty therapists in 2011, CEPEC; a Brussels-based organisation which represents over 30,000 beauty therapists across Europe. She was also appointed by CEN as the FHT sponsored Independent Chair Convenor of the Technical Committee 409, which is responsible for developing the European Standard for Beauty Salon Services which will be published in 2014 and implemented in 30 countries. Carina also has expertise in general teacher education in the lifelong learning sector and she was responsible for developing the first ever attendance-based industry specific teacher training qualification. She delivered this and a range of cross-sector teacher, assessor and verifier qualifications at levels 3, 4 and 5 for over 10 years. Carina was first educated in teacher training at the National University of Ireland and after gaining many vocational educator qualifications is now undertaking a Master of Education (MEd) programme of research at the Dublin Institute of Technology. Over the course of 10 years in the learning and development sector, Carina has personally trained over 500 teachers and has directly advised in a consultancy capacity on the set up of nearly 40 centres/beauty departments. Many of her past students have become very successful lecturers, examiners, external verifiers, faculty heads in colleges and principals of private training centres. Carina is very proud to have had the privilege of being part of their journeys.